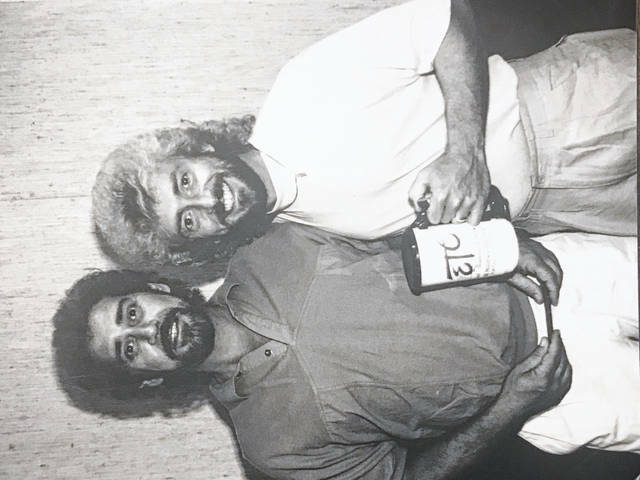 Earl Thomas Conley, left, and Keith Whitley on the right, at one of Earl Thomas Conley’s homecoming concerts in Portsmouth several year back. 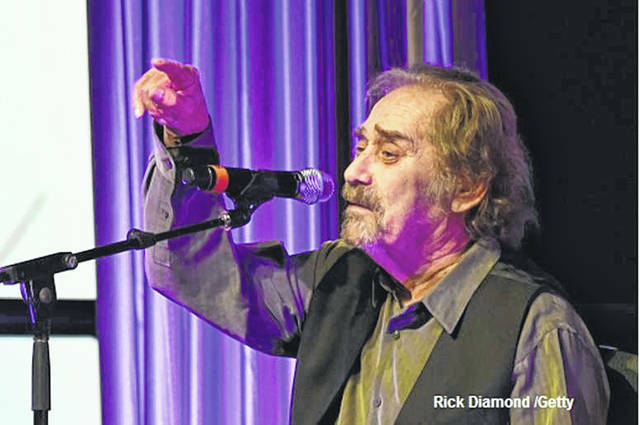 Portsmouth (West) Native and Legend, Earl Thomas Conley passed away Wednesday morning at the age of 77. Word of his death started Wednesday afternoon when a Twitter comment from Blake Shelton began showing up on social media and soon afterward, the news media also began posting that he had passed away in the early morning hours. Shelton’s first tweet was, “My heart is absolutely destroyed today… I’m sad to report that Earl Thomas Conley passed away very early this morning. Earl was my all time favorite singer, hero and my friend. Prayers to his family. We will all miss you deeply my brother. Now go rest… “— Blake Shelton (@blakeshelton) April 10, 2019. According to Oldies.com some well-known facts about Conley were: His 1982 number 1, ‘Somewhere Between Right And Wrong’, was issued in two formats – one for country fans, one for rock fans. In 1984, Conley became the first artist in any field to have had four number one hits from the same album – from Don’t Make It Easy For Me came the title tune, which was written by Conley and his frequent partner Randy Scruggs, ‘Your Love’s On The Line’, ‘Angel In Disguise’ and ‘Holding Her And Loving You’. His duets include ‘Too Many Times’ with Anita Pointer and ‘We Believe In Happy Endings’ with Emmylou Harris, another country number one in 1988. Out of his 18 US country number 1 hits, ‘Right From The Start’ was as much R&B as country and was featured in the film Roadhouse. Conley’s gutsy, emotional love songs found favor with US country fans, but despite a break from recording, he returned to the US country charts in 1991 with ‘Brotherly Love’, a duet recorded with Keith Whitley shortly before the latter’s death in 1989. Most websites about Conley and his life never cease to leave out that Conley grew up in Portsmouth until he was 14 years old. Conley then moved to his sister’s, in Ohio also, and then later, he joined the Army. Conley was well loved by so many in the area for many years. And, in the early 1980s, Riverside Park became The Earl Thomas Conley Park in West Portsmouth and was renamed in honor of Conley. Along with the rest of the country, many country musicians, and many of this community will mourn the loss of someone who came from here, was successful made it big, and never forgot where he started and was a great man because of this.